I love the new nail colors that come out for spring and Essie always does it right! The colors in their Resort 2013 are fun and fresh….some serious eye candy…I love just looking at them all together. Very pleasing to the eye!! Some spicy names I must say! I wanted to try them all right away and finally picked “Come here!” to try first. I’m seriously loving the bright coral. Next I’m trying it on my toes! 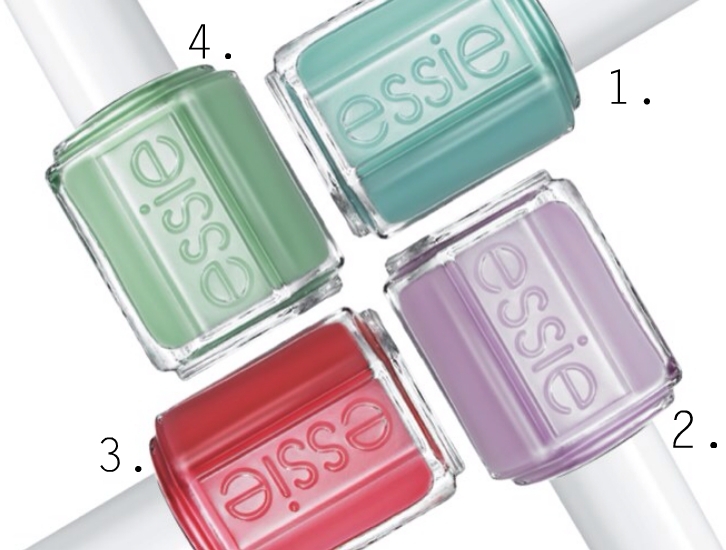 These colors will be available April 2013 at Essie Retailers. Awesome timing to brighten your nails for spring! These colors remind me of Easter! Polishes usually run around $10 Cdn. Thank-you SO much to Essie for sending us their Resort 2013 Collection. We are loving the flirty shades and know that our readers will too!! They will look even more fab with a tan!